Tomas Engstrom, owner and driver of the Engstrom Motorsport’s Accord Euro-R has had a great 2009 season. With engines supplied by MUGEN, Tomas has managed to finish 8th out of 27 overall. This is a great result as Engstrom Motorsport are an independent team with no manufacturer backing unlike some of his nearest competitors. 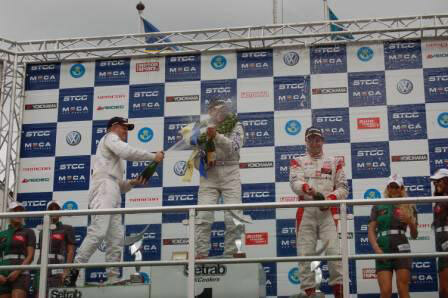 Tomas Engstrom has had 1 win, 2 second places out of a total of 5 podium finishes. Finishing in the points 11 times out of 16 races.